That night, I jerked from my sleep like a possessed animal or a patient in delirium. When I suddenly opened my eyes, I beheld the most ominous of signs. The room was pitch black as it usually is during the rainy season when the moon refuses to shine. When the moon shines in the rainy season, it does so reluctantly such that the rays do not illuminate my room although I am able to see the moon through my window. In the rainy season, the moon assumes the form of a big yellow pumpkin in the sky whose only purpose is to remind us that we are not alone in this universe. But I love to see the moon at night so I often leave my curtain open. But on that night, the moon was not the only thing standing in my window pane. In front of it was a big owl with an oversized head whose reflection cast against the shadow of the yellow moon. It was as if that small figure we see on the moon had jumped out of it to stand in my window, perhaps to torment me. I held on tight to my weathered blanket and stared into the black face of the black owl. I could not see the eyes of that owl as the only light I could see was the faint yellow moon. I felt exposed and I saw myself as somebody who was being watched but who could not see the watcher. I didn’t know where the owl had cast its eyes and I wondered if it could see my nakedness beneath my tattered blanket. I’m always cautious about my nakedness because there are a lot of things about my body that I don’t want many people to see or to know about. My body is not like the bodies of other girls and you have to be really close to me to understand it. So I don’t let people see it. Before I figured out what the owl was doing in my window, it flapped its huge wings as if it had been waked and disappeared into the night. My heart jumped and I sighed to embrace my loneliness and my insecurities. Where I come from, the owl is an ominous sign. “When an owl comes to your house at night, you must expect death”. This is what my grandmother told me when I was very young. “When that bird hoots in your compound, know that the spirits of darkness have come to claim one of you,” she told me. “But what does a bird have to do with death?” I asked. I had heard of some. In the Bible, it was a bird that told Noah that the flood was over when people and some animals were hiding in his ark. The story of Noah and other stories in the Bible never seized to amaze me but I learned how not to ask questions that old people failed to answer. That only made them angry and that anger ended in insults to your ears or a big slap on your face. Now that I’ve grown older, I find answers to some of these questions but I know that they are still answers that other people do not want to hear so I keep my mouth shut. 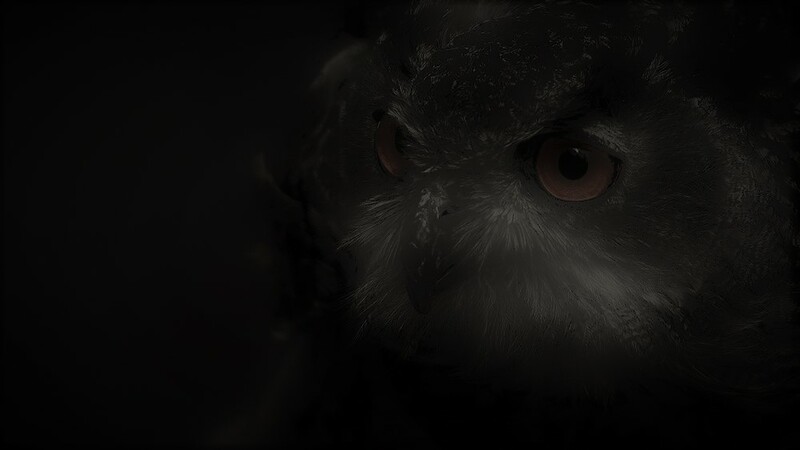 The night that my grandmother told me about the owl being the messenger of death, I felt uneasy. I failed to sleep and I kept rolling on my mat like a loose ball tossed about by the wind. When I finally slept or when sleep found me, I had one of my many nightmares that sometimes make me talk or walk in my sleep. In the dream, three boys were playing on one of the many dusty roads around this area. They were making a lot of noise and they appeared to be happy. They were playing football or a game that resembled football. Suddenly, the three boys disappeared and there was abrupt silence. Then the road turned into a graveyard with open graves and people were slowly coming out of those graves. Each one of those leaving the graves seemed sad and carried themselves as if they were in deep thought. Then the graveyard disappeared again and I saw myself on my bed with three skulls dangling from the ceiling; staring me in the face – laughing. I jerked from my sleep and screamed on top of my voice. My room was dark. Very dark like it had never been before. Then I heard the hooting outside my window. It was an owl but I refused to believe I was hearing it. I failed to draw the line between what was happening in my dreams and what was happening now that I had woken up. By this time I had stopped trying to suggest meanings to my dreams. I did not sleep again until I saw the sun slowly breaking through the sky to give us a new day. But that morning my grandmother did not wake up. She had died in her sleep. That is why on the night that I saw the owl making love to the yellow moon, I felt uneasy. I knew something bad was going to happen but I failed to pin down what was to happen for there were too many bad things that could have happened. And when the thing happened, I was not surprised. There are certain things in life that ought not to surprise you, especially when you are somebody like me who believes in dreams they do not understand. I do not believe in a lot of things but I do know that there is more than what the eyes can see in this world. 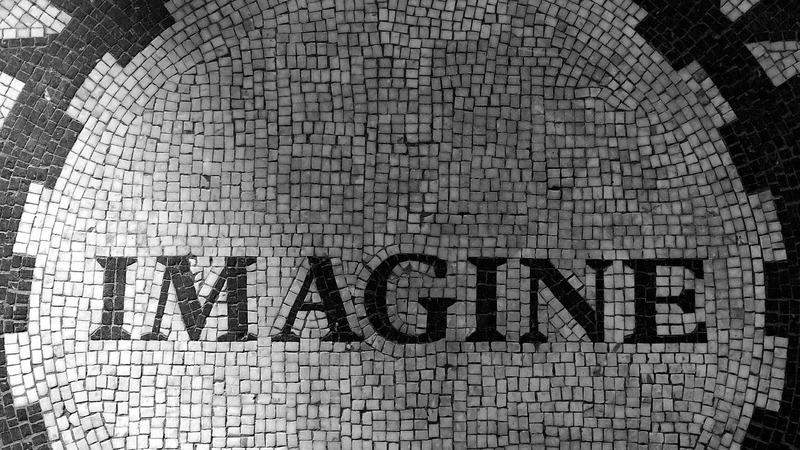 There are some things that can only be felt and others that can only be imagined. The biggest problem is that it is very hard to know whether something is being seen, felt, or imagined. At the end of the day, everything is just belief. We believe we see, we believe we feel, we believe we imagine, and we believe we believe. But I believe in dreams and that sometimes they come true and sometimes they don’t. The most dangerous thing in life is for a dream to come true, especially when that dream is the kind that I have. My dreams are nightmares and I believe they have taken a lot away from me. In one of my dreams, I find myself flying. I am a girl, or at least I was made to believe that I am one. But in this dream I become something else. I am running in tall brown grass, chasing a big grasshopper with yellow wings that shine brightly in the sunlight. In this dream I am about four or five years old. I know this because the dress I wear in the dream is the one that I loved when I was about that age. My mother used to keep it and all the little things that mattered to me when I was young. But for reasons best known to him, my father gave that dress away to one of his relatives whom he forces me to love and cherish. He has no idea what that dress meant to me and how I felt when he gave it away. It was as if he had taken a part of me I cherished most and decided that I did not own it anymore. I felt as if my father was giving away my childhood with all its sweet memories to a girl who had no idea about who I was. I think that was the time I started hating my father and all that he claimed to know better. So in this dream I am running and singing and running. I’m running after the grasshopper and singing “grasshopper stop! Grasshopper stop! You’re food today! Grasshopper land, mama will roast you today!” I am singing and running even though I know that I will not catch the grasshopper because it keeps flying higher and higher and there is no sign that it is going to get tired and land any time soon. And when I am about to give up on the chase, I realize that I cannot get my legs to stop running. I try to stop running but I cannot. The song on my lips has changed and my mouth is filled with a different language that I have never spoken before. I sing a new song that I have never sang before but I sing it so well that I begin to like it although I do not know the words. I just know that I am speaking a different language – a language that my father and perhaps all my friends cannot understand. I know that if there is somebody who could understand this language then it is me and only me. And maybe my sister because she is not afraid to understand what most people choose not to understand. And I am still running and singing in the dream. Running and singing in the wilderness full of tall brown grass that threatens to swallow me. The dry season is in and the wind is blowing leaves away from the trees that used to give them life – to nourish them and nurture them as if the trees owned those leaves. But the wind is blowing the leaves off the trees to remind the trees that they don’t own the leaves. Nobody owns anyone and the leaves are free to float in the sky above my head. The leaves are floating above me and the sun is shining between those dead leaves that look very much alive. I love the site of the golden sun scorching the brown leaves and for a moment I forget where I am and I get lost in the beauty. Then I realize that I am still running and singing and that I am within reach of the grasshopper. When I look down on my feet, I see that they are no longer touching the ground and this scares me. But then I realize that I am no longer running. I am flying. But when I look down, I see myself still on the ground, looking up to the sky. I am wearing the same dress my father gave away. I am the same little girl. Then I look at my flying self and see that I have become a boy or something like that. I am no longer wearing that dress and I am putting on something else I don’t even own. I have left myself on the ground to become something else but I don’t know what I have actually become. I stop singing and I want to stop flying and I don’t want the grasshopper anymore. Before all this happens, I wake up from my dream to find pearls of sweat on my forehead and the sweat is slowly soaking my pillow. I don’t know what this dream means and I don’t know whether it is just a dream or a nightmare. I want to write a letter to tell my sister about this dream but, unfortunately, my sister lost her name. Waiting to read full… Sounds interesting.